Place flatbreads on baking sheet; spread each evenly with pesto. 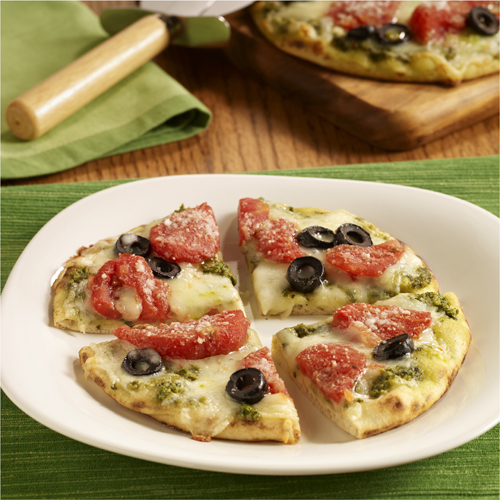 Top flatbreads with mozzarella cheese, drained tomatoes, Parmesan cheese and olives. Grill 6 to 8 minutes or until cheese melts and flatbreads are browned lightly.